One of the concerns of a person with missing teeth is the time they have to spend being toothless. The traditional method of creating dental crowns used to necessitate a waiting period of a few days – which in turn results to a few days of being toothless for the patient as well. The revolutionary technology of CEREC 3D same day crowns by the dentist at Woodbury Dental and Laser Clinic enables you to once again enjoy the feeling of having a complete set of teeth – within the same day. 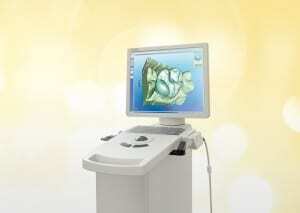 CEREC is an acronym for Chairside Economical Restoration of Esthetic Ceramics. This means that the dentist at Woodbury Dental and Laser Clinic can effectively restore the affected teeth in a single appointment, with the use of high-quality ceramic materials that very closely resembles the natural appearance of the other teeth. CEREC 3D is a chair side computer device that gives the dentist at Woodbury Dental and Laser Clinic the ability to produce aesthetic dental restorations that are long-lasting – all within the same day, while the patient is still inside the dental clinic. The CEREC Same Day Crowns technology uses CAD/CAM computer applications to produce dental crowns within the same day – eliminating the need for temporary tooth restorations, the usual few days or weeks waiting time before the actual dental crown can be placed inside the patient’s mouth, or more than one session of using anaesthesia. The CEREC 3D machine features a computerised milling system that has the power to scan the affected tooth, and then mill the tooth restoration (or the dental crown) within the same day – while you are still at the dentist’s office. This allows you to go home within the same day with a brand new, permanent teeth restoration. The affected tooth is prepared by removing the decayed parts, or by removing the defective dental filling. A powder layer with reflective properties is then applied on the tooth’s surface, in for imaging purposes. A small camera is directed onto the mouth, where the affected tooth is; a 3D image is then obtained if the tooth, using the camera. The CEREC 3D machine will proceed to milling a porcelain block to reproduce the design that was created on the screen, using CAD/CAM applications and the captured tooth image. 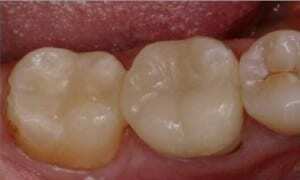 Polishing will be done on the dental crown that was created, to resemble the appearance of the other natural teeth. The dental crown will precisely be fitted over the tooth that will be restored, with the help of a tooth bonding material. A unique light will be used to bond the dental crown to the tooth; the light will also ensure that the bonding material hardens, permanently attaching the dental crown to the natural tooth. CEREC same day crowns eliminate the need to wait for a few days or weeks for a tooth restoration to be placed. You do not have to suffer the agony or embarrassment of being toothless for a number of days; with CEREC same day crowns by the dentist at Woodbury Dental and Laser Clinic– you can have the tooth restoration placed within a single dental appointment. As the CEREC same day crowns are placed within a single dental visit, there is no need for you to go back to the dentist’s office/surgery to have the permanent crown attached. The CEREC technology enables you to have the tooth restorations you need and deserve, without taking too much time off your busy schedule. Temporary crowns, which can be uncomfortable and very obvious to others, are not necessary when using the CEREC same day crowns technology. There is no need for you to feel the discomfort of the temporary crown that will fit over a tooth that has already been prepared or shaped for the permanent crown – you can have the permanent CEREC same day crown placed within the same day! 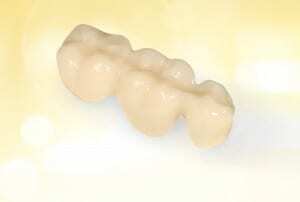 CEREC same day crowns are made from porcelain – with no metal components. There is no possibility of the dental crown being discoloured with the passage of time, which is the tendency of dental crowns made with metal components. In addition, CEREC same day crowns made from porcelain are more durable compared to dental crowns that are made with composite materials. CEREC same day crowns are worthwhile investments, as the aesthetic aspect and long-lasting features of these teeth restorations are known to last a longer period of time compared to dental crowns made from composite materials. In addition, the CEREC 3D technology can lower the total treatment cost, since the system eliminates the need for separate dental technician and laboratory fees.